Do Bong-Soon (Park Bo-Young) was born with superhuman strength. Her strength is hereditary and passed along only to the women in her family. Her dream is to create a video game with herself as the main character. She desperately wants to become a willowy and elegant woman, which is the ideal type of her crush, In Guk-Doo (Ji Soo), a police officer. Thanks to her strength, she gets the job of a bodyguard, to a rich heir Ahn Min-Hyuk (Park Hyung-Sik), the CEO of a gaming company, Ainsoft. Contrary to Guk-Doo, Min-Hyuk is an odd man who is playful, a little spoiled, has no regard for rules, and dislikes policemen. He has recently received anonymous threats, blackmails, and has even been stalked at an occasion. One day, a series of kidnapping cases break in Dobong-dong, the district Bong-Soon lives in, and she is determined to catch the culprit after her friend was targeted. With the help and training from Min-Hyuk, she manages to control her strength to use it for good causes. Min-Hyuk and Bong-Soon find themselves and their relationship grew into something more. I have known Strong Woman Do Bong-Soon ages ago from my sister but I only managed to watch it lately. At first, I found it to be ridiculous but as I watched this drama, the story is not that bad. It’s pretty intense too and kind of my type of drama with the crime story and such. So let’s get down to business. Park Bo-Young played the role of Do Bong-Soon, a young woman who was born with superhuman strength. Imagine Superman in the form of a woman with a smaller body. That’s who Do Bong-Soon is. She is Do Bong-soon who lives in the Do Bong neighbourhood of the Do Bong district, or in Korean, you’ll hear her saying Do Bong-gu, Do Bong-dong, Do Bong-Soon. The rhyme is pretty funny. Park Bo-Young did a very good job of portraying a cute yet very strong young woman. Her cute side has its own charm to attract people’s heart. There are times when the character of Do Bong-Soon needed to do some fightings and not just with anyone but with gangsters, therefore Park Bo-Young was required to do action sequences. Although everything is a setup, it’s still not an easy task to do and I praise Park Bo-Young for doing so well. And then there’s the matter of the impossible strength. There’s no way someone—especially a young woman—with a small body can lift a car like it was nothing. It’s not real but Park Bo-Young managed to do it convincingly. Her acting is good and her facial expressions were spot on. Either acting happy, serious, cute, and sad, Park Bo-Young did every emotion really well. 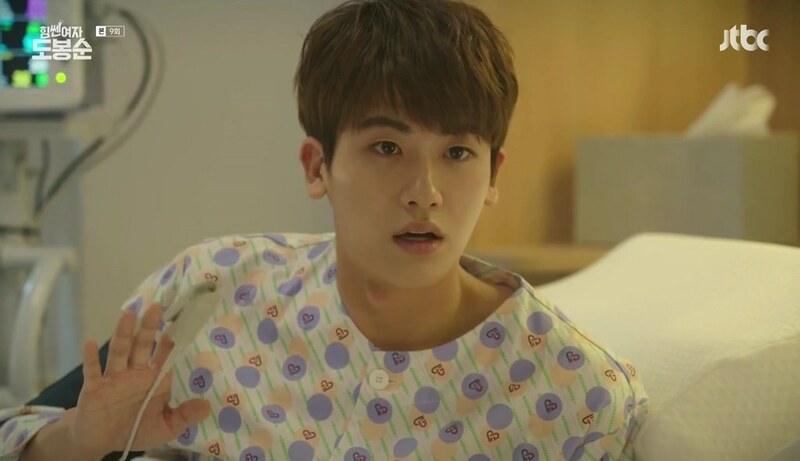 I’ve heard of Park Hyung-Sik for quite sometimes now. People—more like girls, really—seemed to love and adore him. Well, I can see why. His character could make your heart flattered. 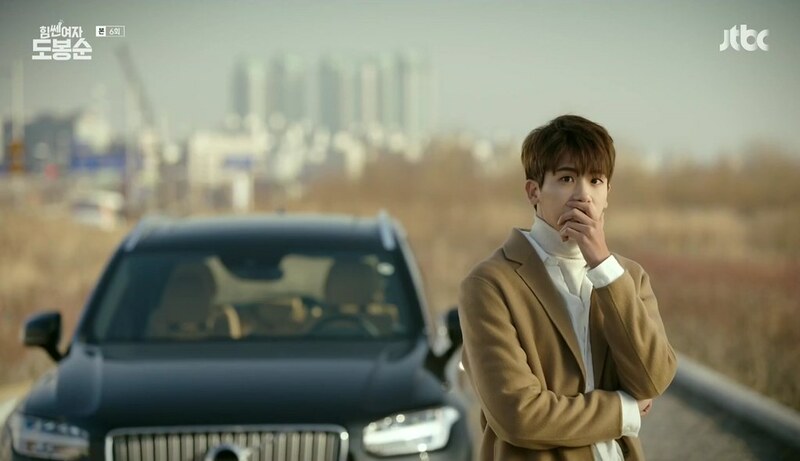 Park Hyung-Sik played the role of Ahn Min-Hyuk, CEO of a gaming company with cheeky demeanour. From the beginning, the character of Ahn Min-Hyuk managed to steal the audience with his charm. 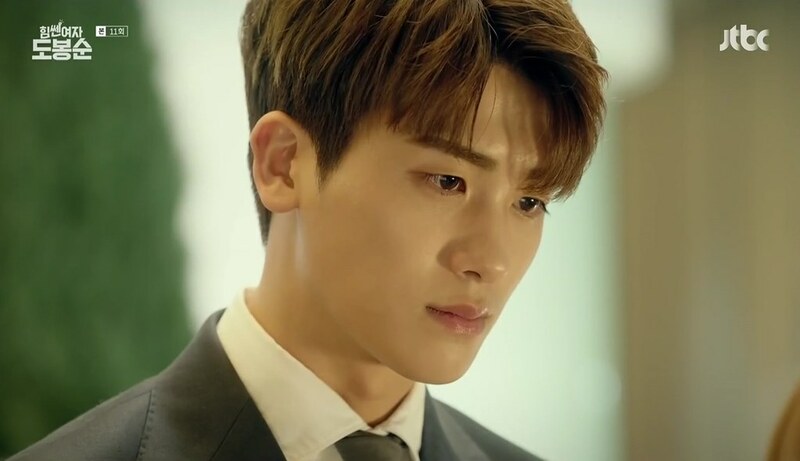 Not only he got the look, Park Hyung-Sik also got the charisma of a CEO, a young CEO in particular. 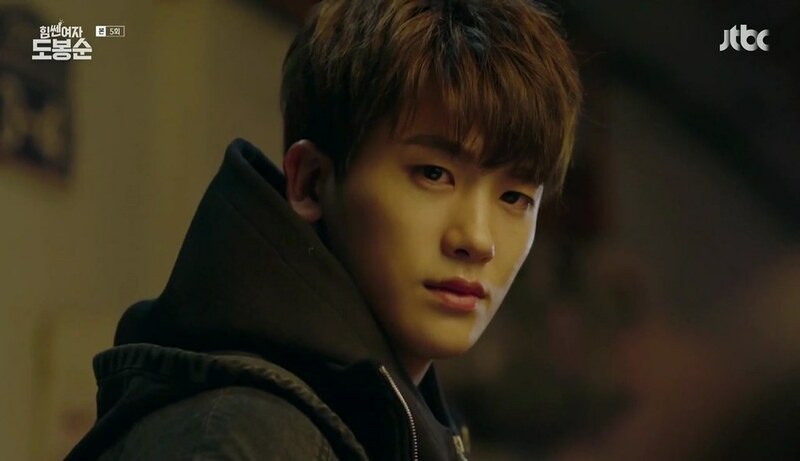 Park Hyung-Sik maybe a singer in the beginning, but he has grown into a very good actor. His facial expressions were really good that we can feel his emotion. We can feel his happiness, his pain, his sadness, his anger, and even when he’s in love. He wasn’t even afraid of looking ridiculous if his character has to. 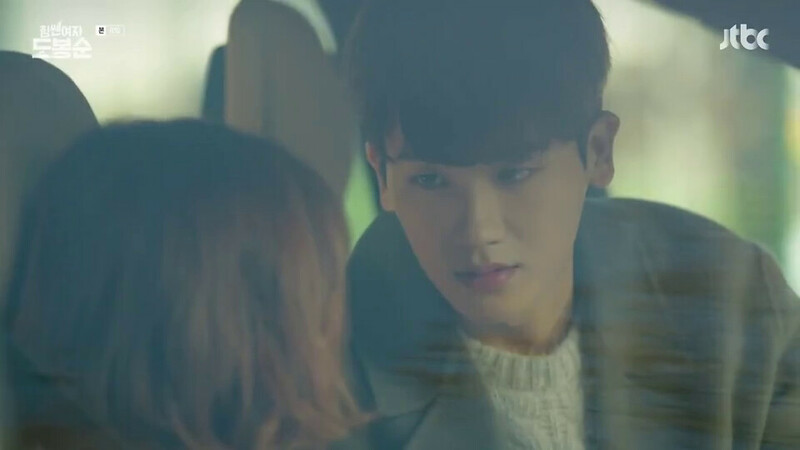 Like most couples in Korean dramas, the first encounter of Ahn Min-Hyuk and Do Bong-Soon was kind of accidental. They were destined to meet. Well, that sort of things happened in real life too where you met your true love accidentally. However, most Korean dramas didn’t stop there. Usually, they used some kind of entangling backgrounds between the two characters where they were actually connected way back before the beginning of the story. Either they have met when they were children or their parents were connected or they went through the same things way back when they were children or some things like that. Don’t get me wrong. I don’t hate that kind of story. To me, that kind of story is pretty good and can actually make things more interesting. Like Healer (2014-2015), Moonlight Drawn by Clouds (2016), My Sassy Girl (2017), While You Were Sleeping (2017), and some others. I love those dramas, truly. I think by now you all must have known how much I love Healer and Moonlight Drawn by Clouds. However, there are so many Korean dramas used the same method that I found myself looking for something different. I am not bored by that kind of background story. I’m just looking for something else. Luckily, this time the writers didn’t pick that cliché background. They did still use the kind of story where the main characters didn’t get along at first then later on developed feelings towards each other. I know this kind of story has been used so many times, not just in Korean dramas but other films and TV series as well. It never gets boring anyway because it is something that happened in real life as well and people always like things that can be related to them. So, Ahn Min-Hyuk and Do Bong-Soon were first a co-worker or more like Ahn Min-Hyuk hired Do Bong-Soon to be his bodyguard. They didn’t get along at first but later on, they understood each other more than anyone they’ve known before. 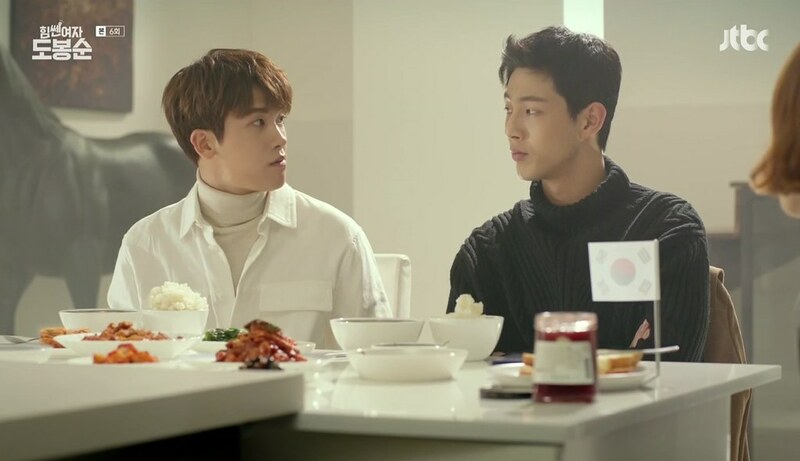 I really love the chemistry shown by Ahn Min-Hyuk and Do Bong-Soon. 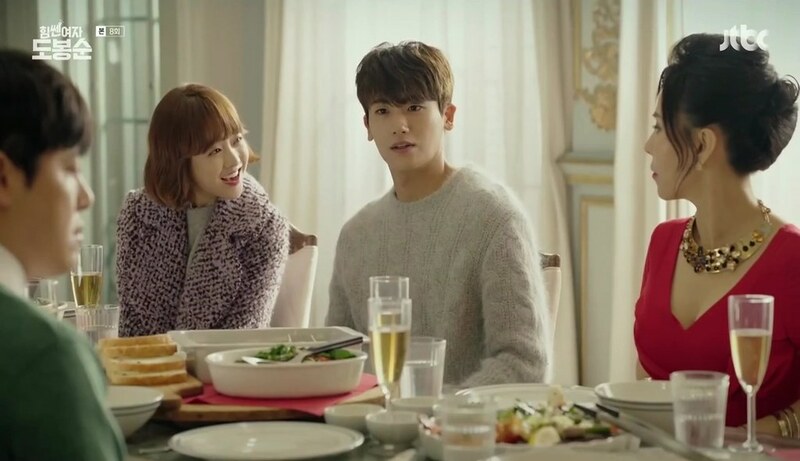 Park Hyung-Sik and Park Bo-Young really made a good and sweet couple. They are indeed one of the sweetest couples in 2017 Korean dramas. You can see in their eyes how much they were in love. Their sweet and funny interactions, the way they treated each other, and the way they spoke to each other. When I first watching Strong Woman Do Bong-Soon, I thought this couple would not turn out to be a sweet one. I mean, usually, it’s the guy who protects the girl but now, with the girl is so strong, it’s a bit confusing how the guy will protect her. I bet it would be the other way around where the girl protects the guy. I was right, though not about everything because Ahn Min-Hyuk and Do Bong-Soon turned out to be sweet. Very sweet indeed. Ahn Min-Hyuk was able to protect Do Bong-Soon in his own way. Maybe not in strength, but in a sweeter way. Ahn Min-Hyuk and Do Bong-Soon are not your usual couple. Nothing is usual about them, but somehow, they made it work. Both actor and actress really showed how much they were in love. You can see it in their eyes every time they looked at each other. 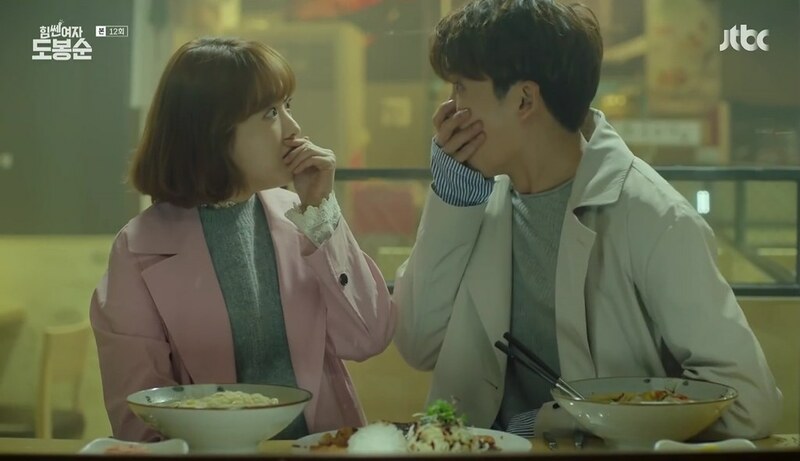 Since this is a romantic-comedy drama, you can see their sweet interaction would sometimes turn out to be funny as well which can be very refreshing and entertaining. 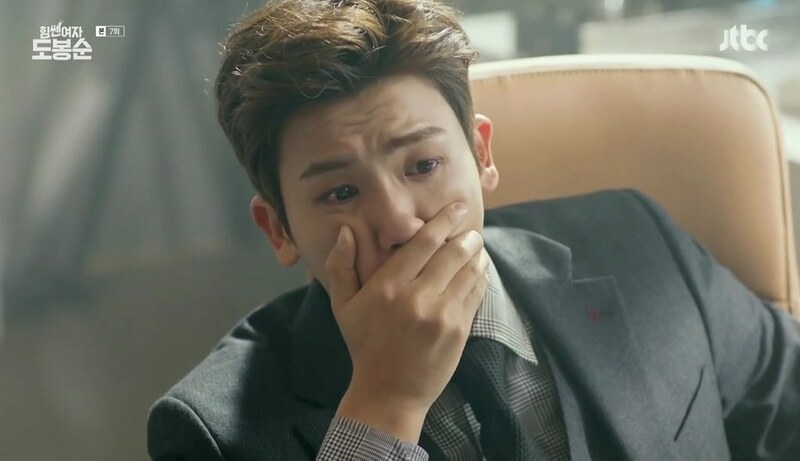 Not to mention both Park Hyung-Sik and Park Bo-Young were not afraid of looking ridiculous, their interactions got funnier yet still somehow very sweet. Both characters could act very cute towards each other yet somehow not seemed cheesy. I really like the chemistry that they have built. Ji Soo played the second male lead named In Guk-Doo, an idealistic police officer who also happened to be Do Bong-Soon’s high school friend and first love. To be honest, In Guk-Doo is the kind of second male lead character that I never like. The kind of character that always too late in realising the person he/she actually likes. Watching him can make you frustrated and furious. Not to mention he’s very stiff as a character. Regardless, Ji Soo played the character really good. I like the chemistry between his character, In Guk-Doo with Park Bo-Young’s Do Bong-Soon. 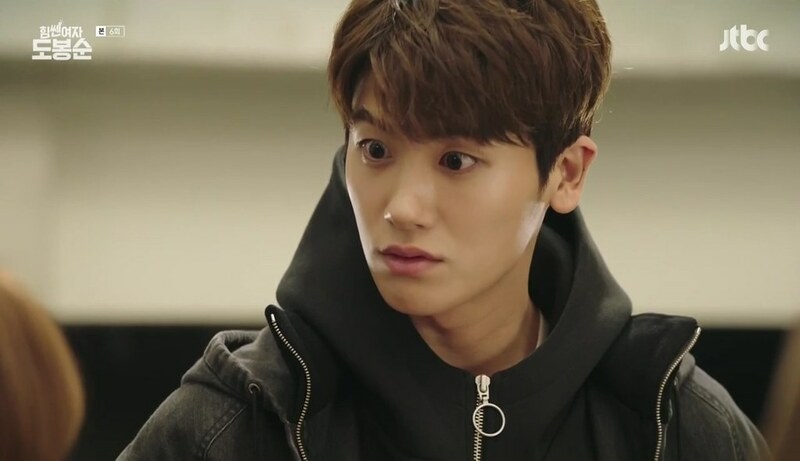 However, I love the chemistry between In Guk-Doo and Park Hyung-Sik’s Ahn Min-Hyuk more. The hate-friendship between In Guk-Doo and Ahn Min-Hyuk is somewhat funny and exciting. Their disputes could make you laugh yet sometimes things will get tenser. That’s why it’s never boring to see them on screen together because they really made things interesting. Anyway, Ji Soo did portray his character really well and I praise him for that. Strong Woman Do Bong-Soon is about comedy and thanks to the other cast, Strong Woman Do Bong-Soon gave a very good comedy. Jeon Seok-Ho played the character of Secretary Gong, Ahn Min-Hyuk’s secretary who happened to be very funny. Well, he’s not trying to be funny but his facial expression would make you laugh from time to time. Kim Won-Hae who played Oh Dol-Pyeo also must be given a lot of praise for his performance. His performance is a totality, I must say. Kim Won-Hae also played the role of Kim Kwang-Bok, some sort of a gangster. He did go in portraying Kim Kwang-Bok, but all the praise must go to the character of Oh Dol-Pyeo. Seriously. Oh Dol-Pyeo is a gay with feminine side and character. The way he put his makeup on, his walk, the way he talks, his facial expressions, everything he did look funny and ridiculous yet at the same time, amazing. It’s not like everyone can play such character flawlessly. 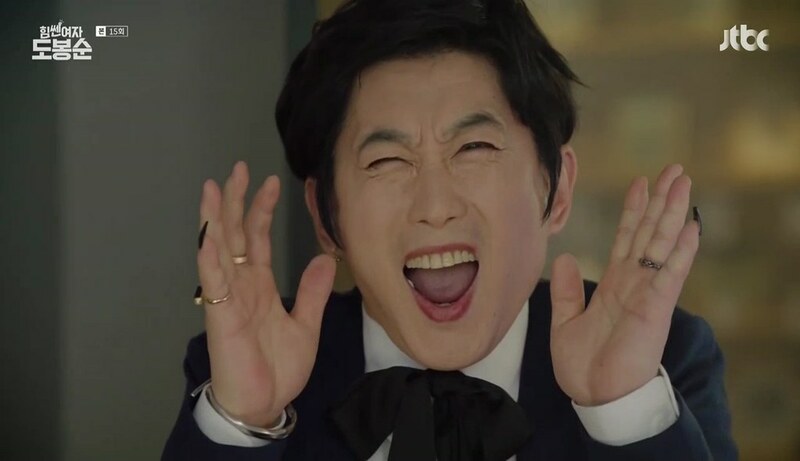 I’ve seen Kim Won-Hae before in While You Were Sleeping, and believe me, his character there is far from ridiculous. It’s always funny when Oh Dol-Pyeo was on screen. His character gave more humour and drama to Strong Woman Do Bong-Soon. All the cast have done a very good job in portraying their characters. They have developed a very good chemistry with each other. That’s why, despite the unrealistic aspect, the overall story is indeed very good and entertaining. The performance of each actor and actress were very good and enjoyable to watch. However, there are some few things that I would like the writers to just delete it. I mean, it’s kind of pointless and wasting time. The gangster scenes were mostly a waste of a time. I mean, they did make things interesting at first because they got into a fight with Do Bong-Soon and such. Later on, their roles got reduced because they were defeated. Strong Woman Do Bong-Soon is not a medical drama but somehow, they did a lot of hospital scenes because of these gangsters. 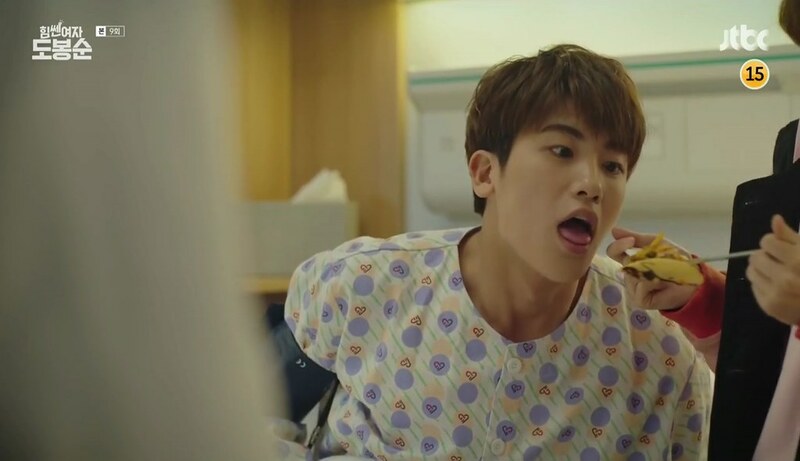 It was funny at first and I don’t mind hospital scenes because I like medical drama. However, as the series went by, these gangsters’ roles became no longer important yet somehow the scriptwriters still decided to show their story. I don’t understand why did it because, to be honest, it’s pretty much getting more boring by the second. Every time they showed up on screen, I just want to fast forward the episode. I mean, the gangsters were funny at first but it’s not the kind of funny that would last long because they kept doing the same thing. It’s like they were trying to prolong the story so Strong Woman Do Bong-Soon would reach 16 episodes. O mean, come on, they didn’t have to do it because there were so many other things to tell about Ahn Min-Hyuk and Do Bong-Soon. I personally think that Ahn Min-Hyuk’s family story could be told more. I’m a bit disappointed at that point and about the gangster thing, but other than, Strong Woman Do Bong-Soon did have a very good storyline. 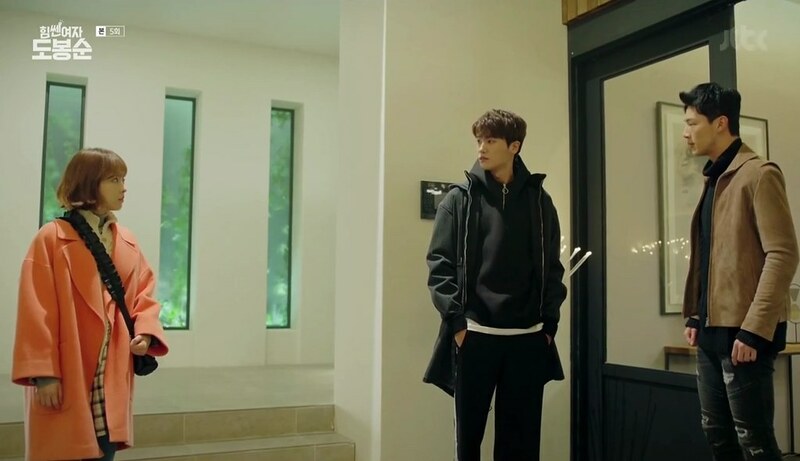 I like the setting used in Strong Woman Do Bong-Soon. From the office to the houses, everything looks beautifully set. I have always amazed by how Korean dramas always paid attention to every detail in everything. From the house, the costume, the furniture, the small things in the house, everything. They really did make sure everything in the drama has its meaning even though they didn’t mention it. Those things do make the story more realistic. I like how the background song really supported the scenes. Every song was put at the right moment, making the audience absorb the vibe of the scene even more. 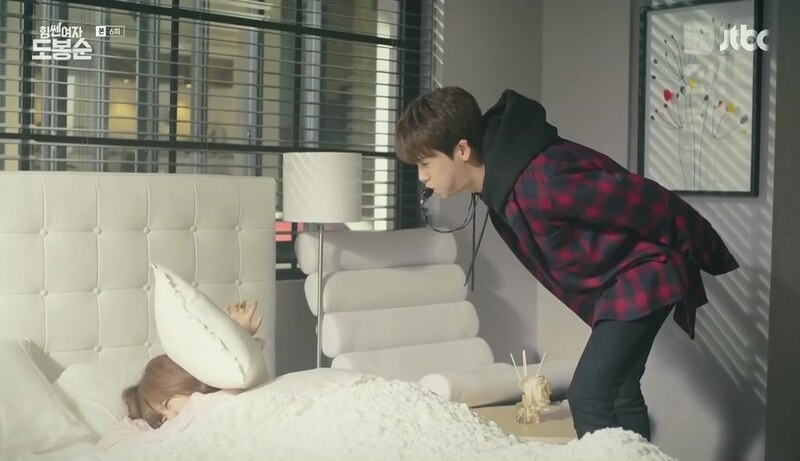 All the production team really has done a great job in making Strong Woman Do Bong-Soon a total package of a drama. All in all, I really like Strong Woman Do Bong-Soon, despite doubting about it at first. Then again, never judge something before you know it. The humour is good, though sometimes can be ridiculous. The storyline is nice, sweet, and can be quite tense too. 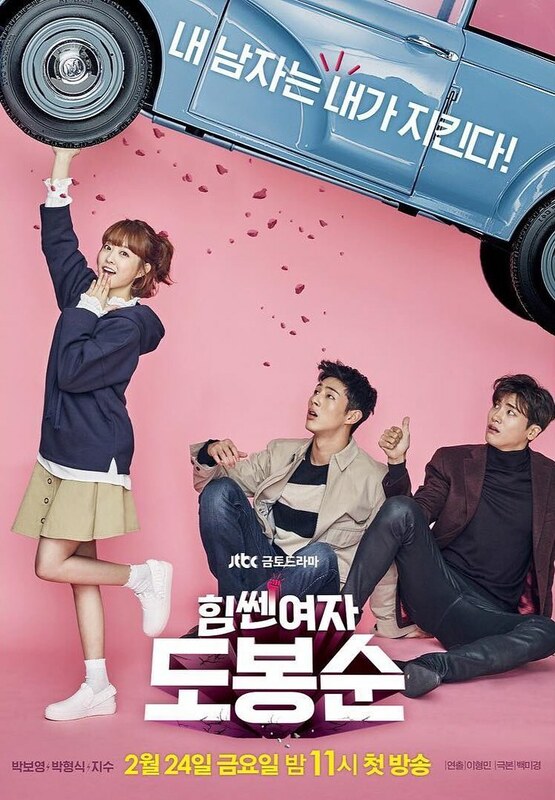 The chemistry between the characters was great, especially between the character of Ahn Min-Hyuk and Do Bong-Soon. All the cast have done a really great job in portraying their characters. 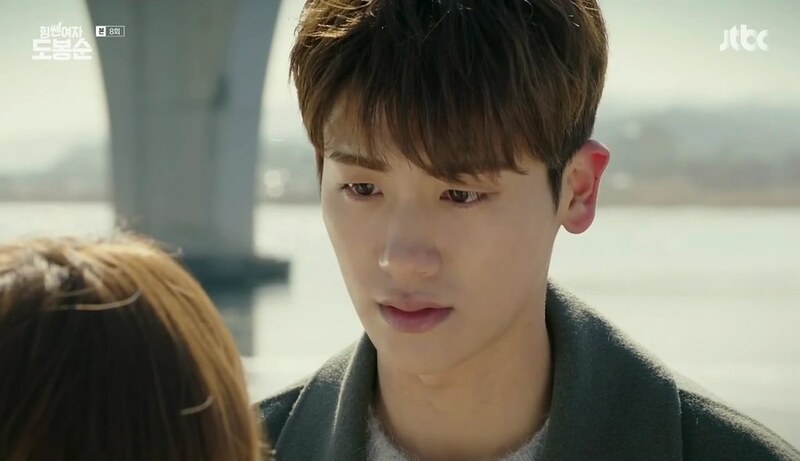 Park Hyung-Sik really has stolen all women’s heart that watched the drama. Strong Woman Do Bong-Soon is indeed an enjoyable Korean drama that worth to watch. It’s funny, it’s sweet, and it’s entertaining. I really love it! I give Strong Woman Do Bong-Soon 9 out of 10 stars. Oh god, I loved this drama too! 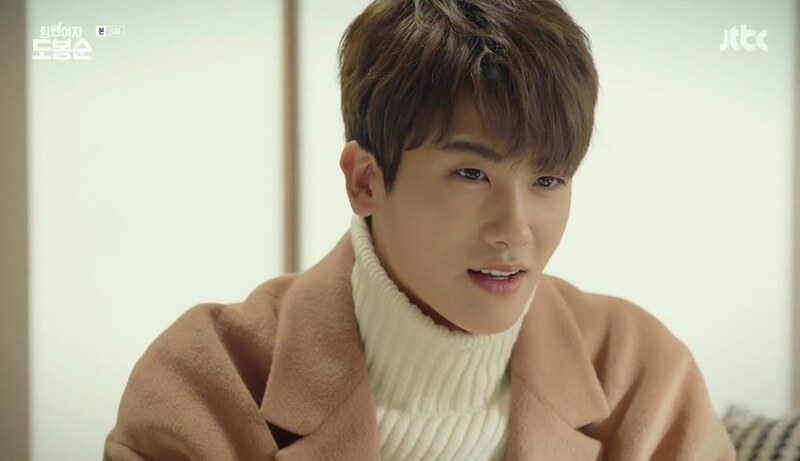 Hyungsik is really cutely cool!